It’s amazing what can happen when you plan strategically. After a few days in Chicago for the local CMT chapter meeting, I made a short trip to Green Bay, Wisconsin, over the weekend to check off what a lot of sports fans consider a big-time bucket list item. 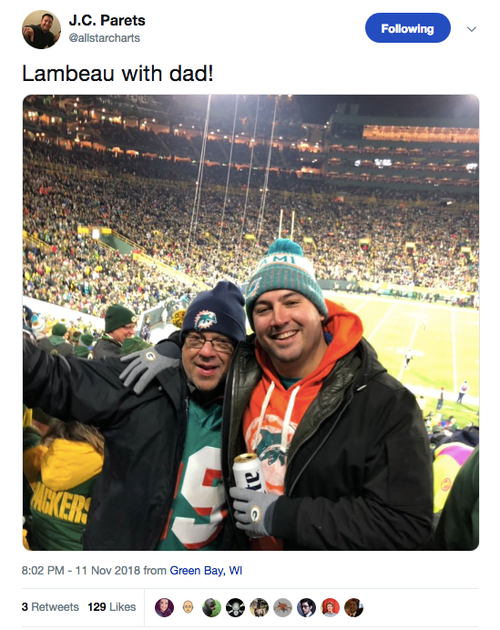 I went to a Packers game at Lambeau Field, with my dad, no less. Miami lost by 19 points, but who cares. The experience was a dream come true. Many of you might know that the Green Bay Packers are a publicly-owned franchise, the only one in the NFL. Now, you could argue the Packers are the worst stock in America. It costs $250 a share and pays no dividends, benefits from no earnings, has no securities-law protection, and isn’t tradeable. There’s only been five stock sales in team history, the last one coming in 2011. For shareholders, it’s a passion play more than anything. No clear risk-management levels here! 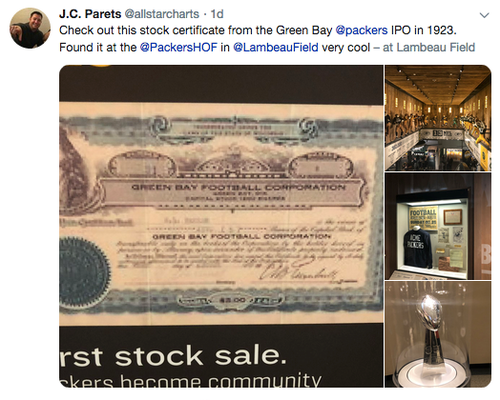 You can pick up investing wisdom from pretty much anywhere, including Green Bay. It’s true. We won’t win them all, so most importantly you have to have a plan to get out of any trade before you get in. You know we’re all about ignoring the noise, and the news. They MUST be popular, or the clickbait farms wouldn’t publish them. There’s no secret, other than doing the work. That’s why I look at 5,000 charts every week. I’d rather pay attention to what I see. For instance, remember bitcoin? I will say this, I don’t think we can get much less volatility in bitcoin. A big move is brewing. 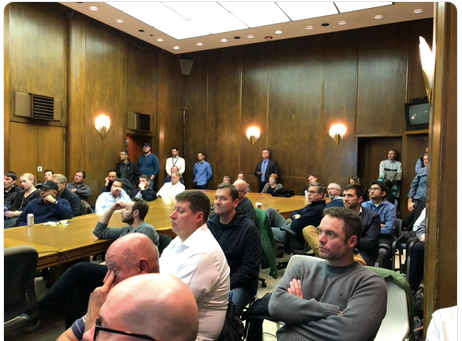 Here’s what I saw in the audience during my presentation at the CMT meeting in Chicago. 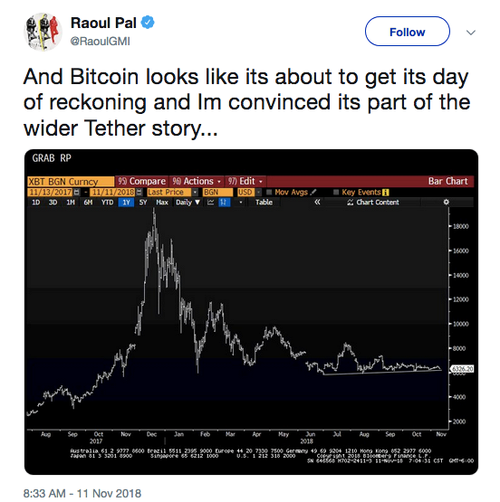 I’m not talking bullish trends these days, as you can see in this picture, but it’s the truth. We’re better off accepting it.